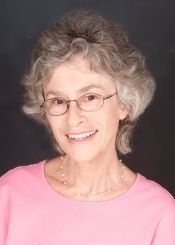 Come join us at the Granada Hills Woman’s Club for a fun-filled afternoon with cozy mystery author, Laura Levine, of the popular Jaine Austen mystery series. In her latest title, Killing Cupid, the freelance writer lands a job writing copy for the Dates of Joy match-making service. When the ruthless conniving matchmaker winds up dead, Jaine realizes the killer could be any number of vengeful employees or disgruntled clients. In order to clear her own name, Jaine must navigate her way through various lovesick Lotharios to find the real killer. Once again, Laura entertains us with the adventures of the unlucky-in-love Jaine, and fans of this charming series won’t be disappointed. This event requires registration by April 15. Please contact Yolanda Petroski at 818.363.9844 with questions, or to register. Laura Levine Signs Killing Cupid at Grenada Hills Women's Club. Laura Levine Dorothy Howell The focus turns to mystery, Southern CA, and the importance of accessories later in the afternoon with Laura Levine and Dorothy Howell. Laura’s latest Jaine Austen mystery has a seasonal flavor, with Death of a Neighborhood Witch. Freelance author Jaine is already on uneasy terms with her cantankerous former TV Monster Mom neighbor, “Cryptessa Muldoon,” over a fatal pet encounter before the D-list actress is murdered and Jaine is the prime suspect. Dorothy gives fashion-forward Haley Randolph a new job as a corporate events coordinator – and a new mystery to solve, when the company’s head of security is murdered in her office while conducting Haley’s background check in Tote Bags and Toe Tags. Laura Levine's book Death of A Neighborhood Witch was available from LibraryThing Early Reviewers. Laura Levine's book Gingerbread Cookie Murder was available from LibraryThing Early Reviewers. Laura Levine's book Secret Santa was available from LibraryThing Member Giveaway. Laura Levine is currently considered a "single author." If one or more works are by a distinct, homonymous authors, go ahead and split the author. Laura Levine is composed of 2 names. You can examine and separate out names.